Dubai: Emiratis living in communities developed by the Mohammad Bin Rashid Housing Establishment (MBRHE) in Dubai who take advantage of the government’s offer of free installation of solar panels on their rooftops may get yearly savings of up to 10 per cent from their electricity bill, an official said. Dubai Electricity and Water Authority (Dewa) has pledged to achieve in its jurisdiction Article 7 of the 50-Year Charter issued earlier this year to develop the quality of life and guarantee a better future for generations. The seventh article provides that at least 10 per cent of citizens’ homes would have an integrated system to achieve self-sufficiency in water, food and energy. The project is on top of Dewa’s ongoing Shams Dubai initiative that encourages building owners to install solar panels on rooftops and connect them to its grid. Currently, some 1,276 sites have installed solar panels, with a total capacity of about 81 megawatts. Al Tayer said implementation of the solar-powered project for 5,000 Emirati homes in Dubai will be completed by end of this year under the supervision of Etihad ESCO. Aside from solar power, energy-saving LED bulbs and water-saving devices will also be installed. “We have a few people calling and asking for the requirements. They welcomed the news and they are excited about it. Once the installation is done, they will be even happier,” Ali Al Jassim, CEO of Etihad ESCO, told Gulf News. Al Jassim said Emiratis should take advantage of the programme for their projected monthly energy savings. The average energy consumption of a typical villa, for example is 110,000 kWh/year. 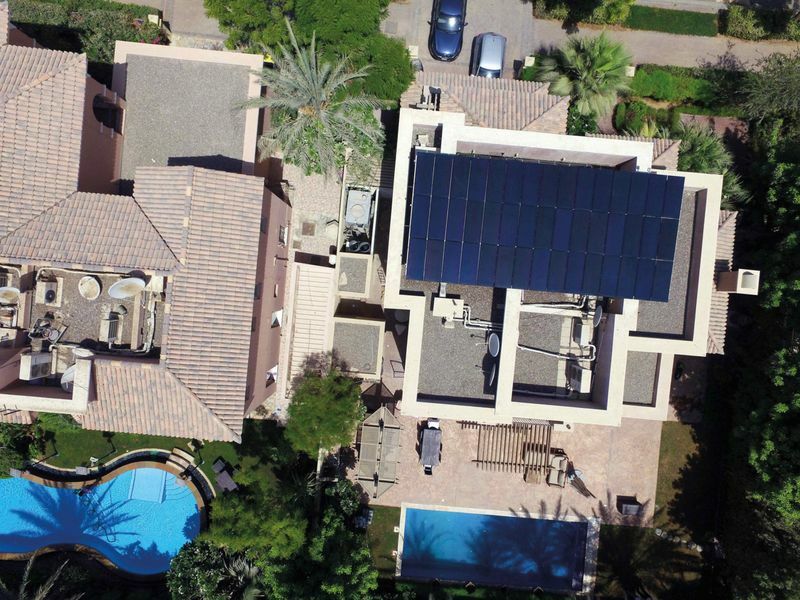 A similar villa powered by solar typically sees energy savings of 10,000 kWh/year equivalent to 9 per cent to 10 per cent. 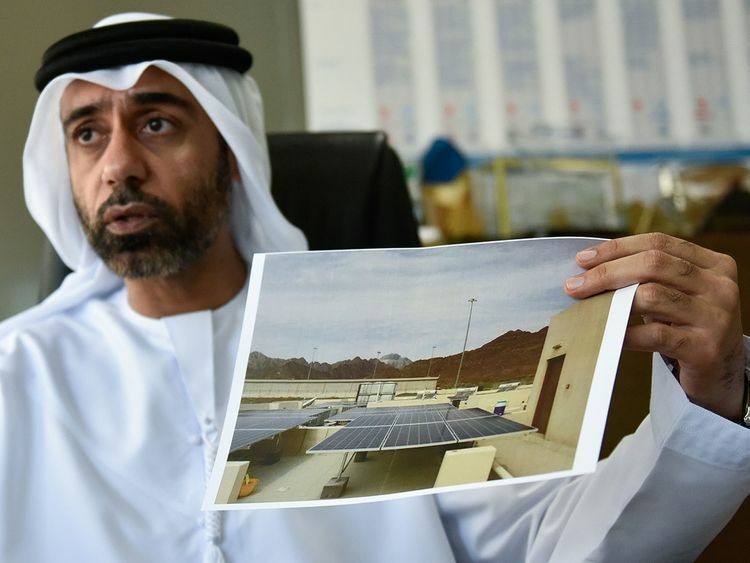 This massive project will also drive the cost of solar further down similar to what Dewa’s project in Hatta accomplished where they installed solar power in 640 villas, cutting the price of solar by half from Dh50,000. “The scale of economy brings the prices down. But if a homeowner on his own goes to a company to install solar, it will cost them between Dh30,000 and Dh50,000,” Al Jassim said, adding Dewa is even adding in a year of free maintenance. Al Jassim said the project will be conducted in phases and will take 10 months to complete. He assured Emiratis that there will be no disruptions in their family life during the course of the project. Etihad Esco will launch an outreach programme in all the concerned communities to get a feedback from Emiratis if they want to participate in the project. Interested parties will be asked to give their consent and documents such as family book, passport copies, Emirates ID, accomplished application form and electricity bill. Those who meet conditions will be eligible. A total of 5,000 homes will benefit.